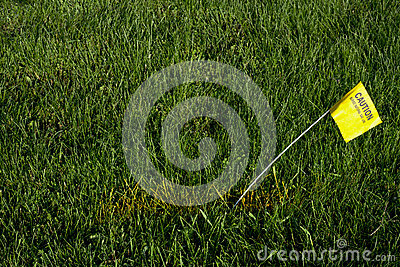 A yellow flag and yellow paint marks the path of a buried natural gas line. People can call Digger Hotline to have the utilities come out and mark a property where all the buried lines and cables are located. This prevents wires from being cut and is a safety issue. Do not be cutting into a gas line from the utility company!